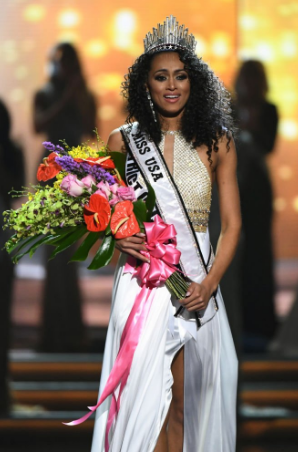 25 year old Kara McCullough, Miss District of Columbia, secured a back-to-back win for her state when she won Miss USA 2017 in Las Vegas, Nevada earlier today. McCullough was crowned the 66th title holder by outgoing winner, Deshauna Barber who is also from Washington, DC. McCullough, who was born in Italy, stands 1.78m in height and will be her country's representative at the next Miss Universe Pageant. Right after the pageant, she will be whisked off to New York City where she will move in with Miss Universe, Iris Mittenaere. The first runner-up was Miss New Jersey, Chhavi Verg, who was vying to become the first Indian-American Miss USA. Miss Minnesota, Meredith Gould, finished as the second runner-up. The top 5 were completed by Miss Illinois, Whitney Wandland and Miss South Carolina, Megan Gordon. 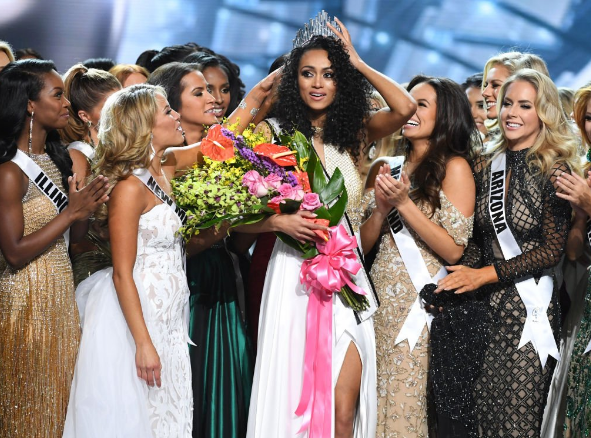 The top 10 was rounded out by Miss Alaska, Alyssa London, Miss California, India Williams, Miss Missouri, Bayleigh Dayton, Miss New York, Hannah Lopa, and Miss Tennessee, Allee-Sutton Hethcoat. As predicted, it was a year of shocks and surprises. I sucked because only 1 of my top 5 made the top 10 and she got cut before the top 5. I don't know where IMG is going with this, but I will have to watch the pageant before I make further comments. I like DC but I don't really know how I feel about her as the winner. New Jersey would have been an amazing choice. Super sad for Utah though. I am scratching my head on this one still. I really did not expect Utah to make it to the Top 10 but there is some I am still wondering how they made it to the Top 10! Seeing delegates during the preliminaries simply rock it on stage and not make it to the Top 10 was so disappointing. It was great seeing Alaska make it to the Top 10 and I believe she deserved to make it to the Top 5. And not seeing Texas, North Carolina, and Hawaii in the Top 10 was a let down. But what really was the biggest let down for me was not having the fans vote in an 11th delegate into the Finals. 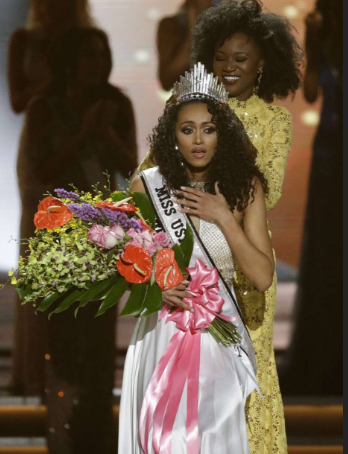 I hope WME/IMG and the Miss Universe Organization will take a look at the direction that the Miss USA 2017 and the Miss Universe 2016 competitions have gone and change the evening gown and swimsuit competitions back to the way they were. I also agree that New Jersey should have won. 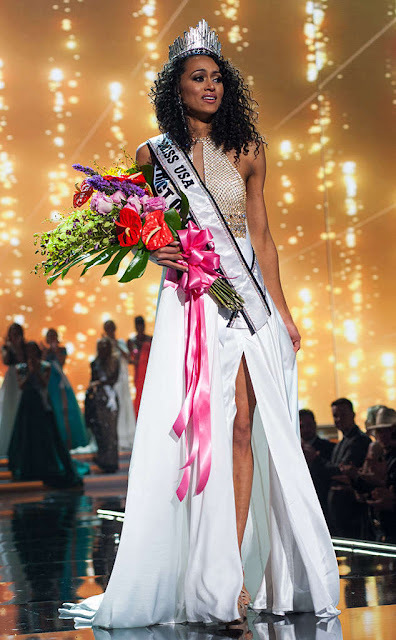 Deshawna looked fabulous on her final walk, giving tribute to her mother, and thanking Pia, Iris, and the MUO was wonderful to see. And as in the winner, I wish her the best. But right now all I can say is "Oh Dear!!!" First up, top 10 selection is a big shock. Ignoring Nevada, Pennsylvania and Utah was a joke. They may not show us the criteria on the interviews but it seems like the direction they are going is not clear and align with the past semi finalists. Alaska or California should have been in the top 5 considering the swimsuit and evening gown for the night. Is the scoring at this point also changed? After the final question, it is very clear who should have taken the crown. I feel bad for New Jersey. Minnesota should be placed higher. One last thing, I think it was obvious on the spiels on who was the expected to win and with that it lost spontainity. I like the winner but would have preferred New Jersey, who I loved. I did not get the hype with Minnesota although she may have been in my top 10 she would have stopped there. California and Alaska should have been in top 3, I loved both of them. I am surprised Pennsylvania did not make it I thought she was DDG. Maybe the ones that failed and were a surprise they failed, eg Utah and North Carolina did not interview well.